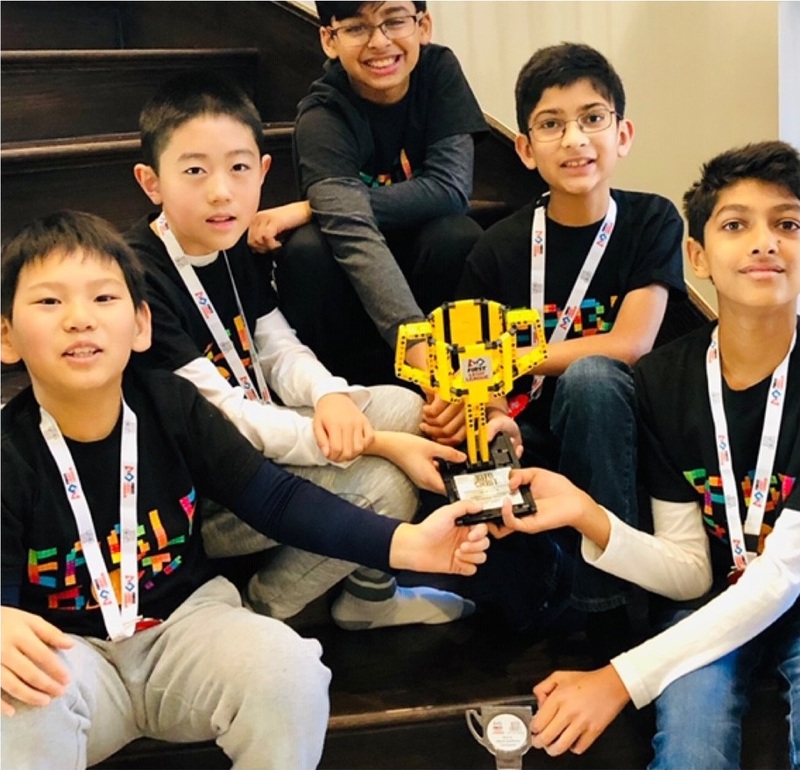 On Jan. 19, Harker’s own “Eagle Bots” FIRST Lego League Team – made up of fifth graders Sahil Jain, Farhan Ansari, Mihir Gupta, Daniel Wu and Jaden Chyan – was awarded Most Innovative Solution at the Northern California FLL championship (held at the University of California, Berkeley) for a science project it devised to help astronauts eat better. The students’ project explored how the quality of food can affect the mood of astronauts in space, who must cope with a lack of fresh produce in addition to constant isolation, leading to issues with physical and emotional health. Upon researching these topics, they found that smell and taste are closely linked, and developed an idea for an “AroMask” that astronauts can wear to immerse themselves in the scents of their favorite foods to stimulate hunger. The team consulted with psychiatrists and NASA scientists as part of its research.